Get ready for the winter months with a new set of tires! Lawrence Kia is offering Buy 3 Tires and get the 4th for $1. For a limited time only, call 800-988-8624 or schedule an appointment today to secure this offer. *Offer begins September 1, 2017 and expires on October 21, 2017. Valid at participating Kia Dealerships. Offer is only good on eligible tires. For a list of eligible tires, please contact your Kia Dealership service advisor. 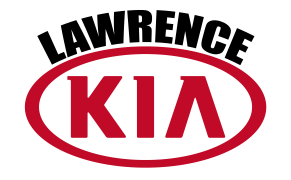 Kia vehicles only. Excludes hazardous waste fee (except California). tax and shop supplies, where applicable. Offer not valid with previous purchase or with any other offers or specials. Offer applies to eligible original equipment manufacturer, winter and original equipment alternative tires only. Offer has no cash value. Additional terms and conditions apply; see your Kia advisor for details. Customer must present offer at time of write-up. Void where prohibited. Offer valid in the United States only.